While the official debut of the 2016 Audi R8 will be held next week at the Geneva Motor Show, Audi has been early to (officially) reveal it before its global debut. Let’s take a closer look. 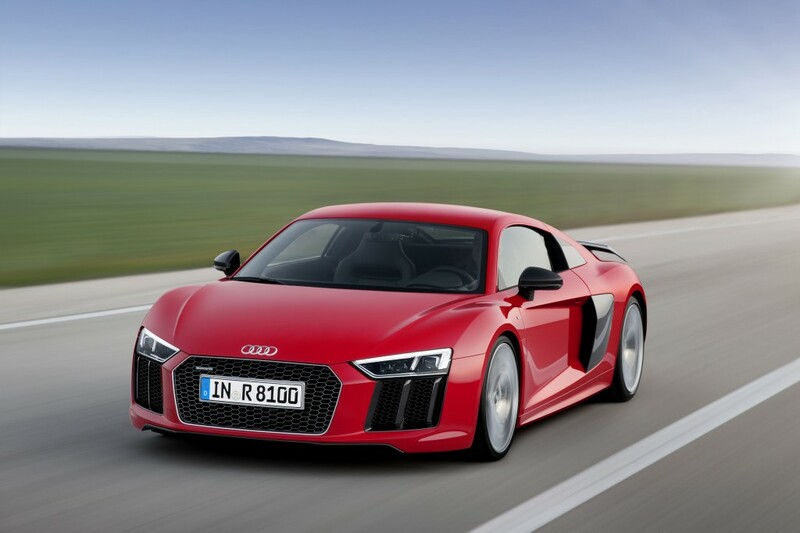 From the outside, the 2016 Audi R8 now sports a sharper front end, with optional laser headlights (LED headlights are a standard fitment) and a new trapezoid grille for that sportier look. The rear end gets new dynamic turn signals. The rear bumper design is also new. 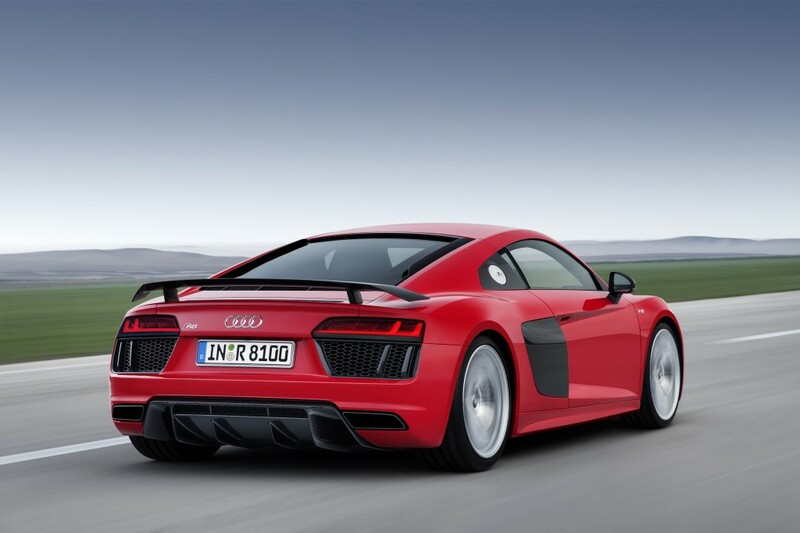 Despite these changes, the new Audi R8 still carries forward the predecessor’s signature body lines. Under the hood of this mid-engined supercar lies a 5.2-litre V10 engine, just like the predecessor, but this time around, the engine will be available with two power outputs, one with 540 horsepower coupled with 540 Nm of torque, and another beefier engine with 610 horsepower with 560 Nm of torque. The former can sprint from zero to a hundred in 3.5 seconds, while the latter can achieve the same sprint in just 3.2 seconds. Out goes the manual transmission, as the standard transmission is now a 7-speed S-tronic that is mated to a newly developed Quattro system. The newly improved Quattro system can distribute torque to all four wheels depending on driving conditions, and if needed, 100% of the torque can be send to either the front or rear axle. Apart from the regular fuel-burning V10 variant, Audi will also launch an all-electric variant of the Audi R8, called the Audi R8 e-tron. The R8 e-tron will have a 92 kWh battery, good for 450 km. The new T-shaped battery is integrated into the centre tunnel of the R8 e-tron to keep centre of gravity low. Audi has also claimed that power has improved three-folds and is now rated at 170 kW, with the maximum torque of 460 Nm enables the R8 e-tron to sprint from standstill to 100 km/h in 3.9 seconds. Top speed is electronically limited to 210 km/h. 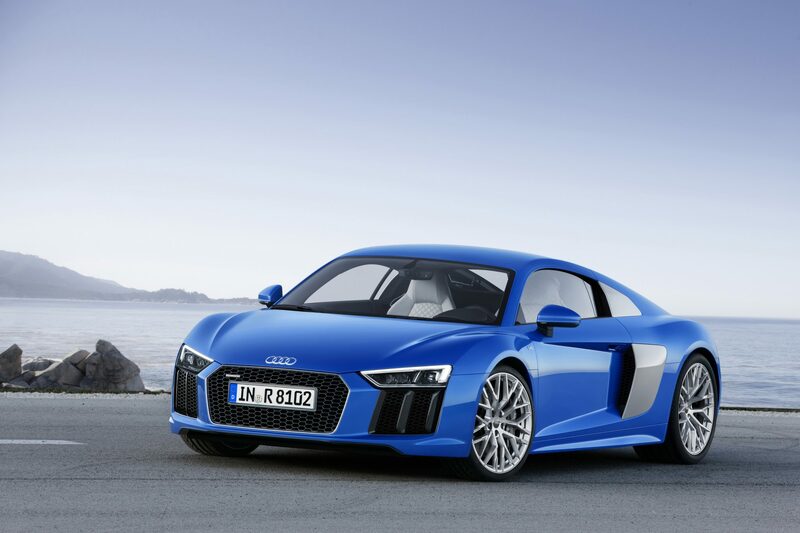 According to Audi, “Audi uses the electrical high-performance sports car primarily as a mobile high-tech laboratory. Accordingly, the findings from the R8 e-tron help in creating a vehicle with a sedan character.” Looks like Audi is targeting Tesla at the electric vehicle game? Ford bids farewell to the Year of the Horse with a new Mustang video!